Amalgam is a powerful Synthesizer that lets you easily design and invent waveforms with its unique X-wave Editor. Amalgam offers a unique and powerful blend of additive synthesis, frequency and amplitude modulation, and wavetable synthesis, all in one compact interface. On the surface, Amalgam is modeled after a traditional dual oscillator, analogue synth. However, it’s powerful and flexible “Modulator” can be used both as an LFO and as a modulator wave for FM or AM synthesis. 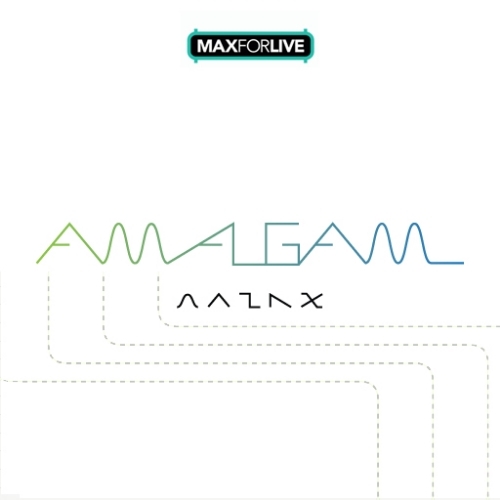 Amalgam’s real power, however, lies in its X-Wave Editor, a built-in waveform editor / wavetable oscillator. Import sound files and apply a number of operations, such as cropping, normalizing, and smoothing – all without ever stopping the audio. Use “Draw” mode to draw audio data directly to the wavetable. Save your custom waveforms for use in new Amalgam patches or for use with other software.